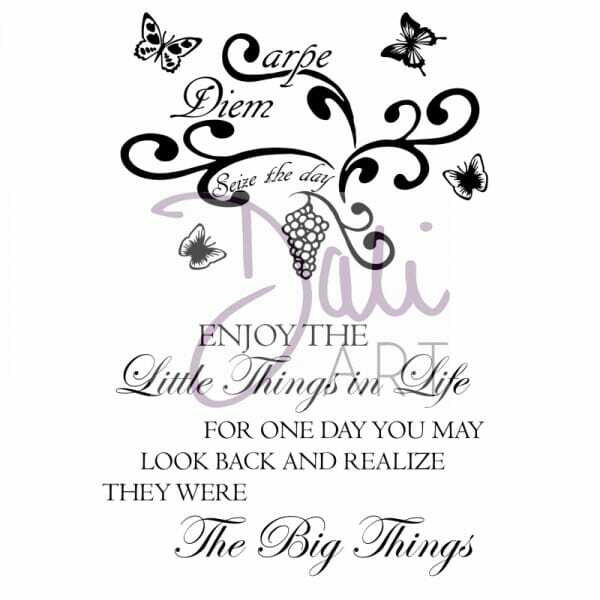 DaliART Carpe Diem & Enjoy the Little Things Sentiments high quality clear stamp made in the UK, size A6. A design that you can add to your cards, gift wraps, decorations, and other creative ideas. High clarity, transparent stamp allows for easy inking and positioning of stamped image. Customer evaluation for "DaliArt - DaliART Clear Stamp Carpe Diem & Enjoy the"